A snap-together castle including the infamous Sheriff of Nottingham and soldiers opposed by Robin Hood and his merry men. The scale figures may be painted to your own design to reproduce authentic fight scenes. 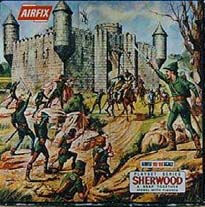 Castle and figures available separately.